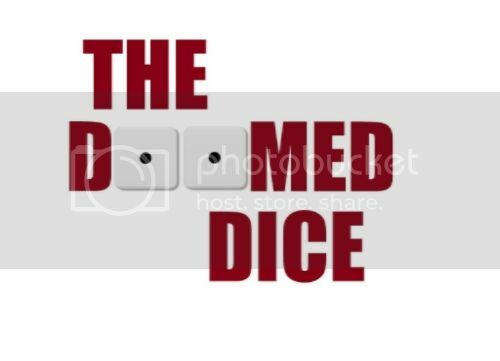 I submit to you the first episode of The Doomed Dice podcast. I am running my group through Rappan Athuk, and you can listen to the 1st part of the initial session here. The rest of the session will be uploaded soon, and I hope to release two episodes a month. Let me know what you think, and I am aware of a bit of audio variance, I am working on that to improve listening quality. The Doomed Dice, Episode 2, which is the second half of our first session is now available to download or stream on your favorite listening device. I compressed the sound on this one, which should help the variance in sound levels a little bit. I can't do much about some of the background noise this time around, but I have identified several things that I will be doing when we next record which will (hopefully!) improve the sound quality. Enjoy, and let me know what you think. Very nicely done, Bravesteel. I've only started listening to the first one, but I don't hear any issues with the audio. You have a great gaming group. merias wrote: Very nicely done, Bravesteel. I've only started listening to the first one, but I don't hear any issues with the audio. You have a great gaming group. Thanks, Merias, I'm very glad you are enjoying our misadventures! I only wish we had a larger group, as I have been reading about where the party leaves off at the end of the second episode and I feel like a TPK is inevitable.